Appraisal — Lincoln Art Company L.L.C. Knowing the value of your artwork is important in many ways, from insuring it properly to estate planning to establishing worth for charitable donations. Our principal, Cole Sartore, is compliant with the Uniform Standards of Professional Appraisal Practice (USPAP) and has taken the Comprehensive Appraisal Studies Program (CASP) through the Appraisers Association of America (AAA). More than a short valuation, our appraisals give you an in-depth look at the history, current market, and detailed analysis of how we place the value of your work. Within every appraisal report, whether it be a single painting or a vast estate, we pride ourselves on the quality and thoroughness of our research to give you a detailed understanding of what your art is worth. Each appraisal report consists of a number of analyses including an overall market analysis, comparable analysis, artist biography, and detailed descriptions of each work being appraised. We offer a wide range of appraisals for insurance, equitable distribution, estate planning, and non-cash charitable donation. If you would like to request a complimentary appraisal estimate please visit our “Contact” page to reach us by phone or email. 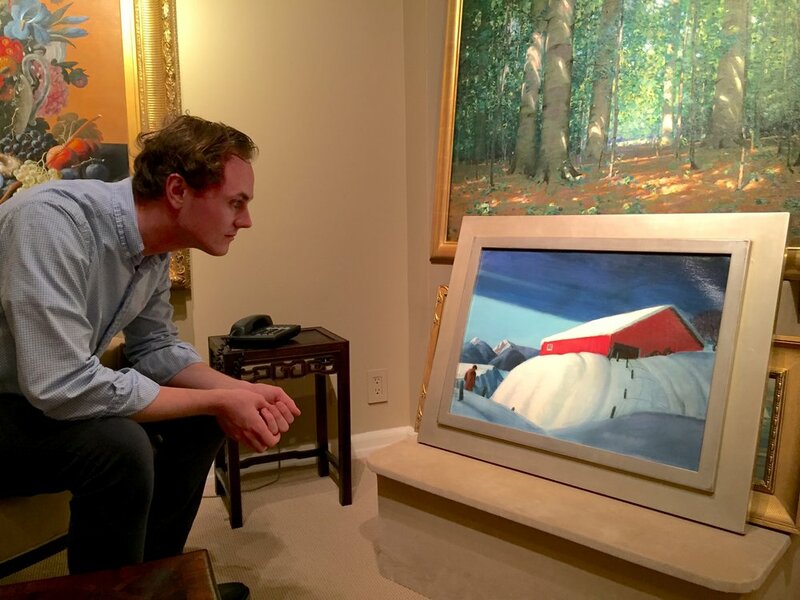 Our principal, Cole Sartore, specializes in the work of Nebraska artist Dale Nichols (1904-1995) and regularly performs inspection and authentication of his work.